I am really enjoying my vacation from my “real job”. I’m getting some time with my family and my kids and gaining additional appreciation for what my wife does and deals with while I’m at work. The real fun starts today at 3:00 when the kids come home and start their Christmas vacation. Made the main page show full articles instead of “teasers”. This will allow you to read whole articles from the main page, rather than having to click through. Changed from using the ShareThis plugin to the AddThis plugin as it seems a little faster. These plugins allow you to submit my articles to various social networking sites such as StumbleUpon (to which I am highly addicted), Digg, Reddit, etc. AddThis is the little oval icon you’ll see that says “Share” at the bottom of each of my articles. I’ll write more about StumbleUpon after the first of the year, but check out plonkee’s article about it until then. You can find links to all of the social networks sites I’m a member of at the bottom of my about page. I fixed an annoying issue with my comments that caused them to not format correctly. Was able to fix that as well. Becoming quite the CSS guru here lately. One other big announcement this week is the addition of a new blog to the M-Network, Cash Money Life. Welcome to our network Patrick. We’re really glad to have you. Carnival of Personal Finance – Where my article submission wasn’t included due to the host not agreeing that it was personal finance related. Festival of Frugality – Where my article Money Saving Monday Tip#19 – A better shave for less money was included. Carnival of Money Stories – Where my article Chase doesn’t really love me they just act like it was included. 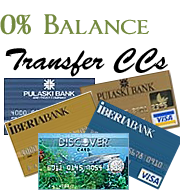 Carnival of Debt Reduction – Where my article Thank God for Credit Cards! was included. 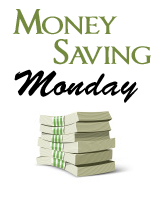 Carnival of Money, Growth and Happiness where my article Money Saving Monday Tip#1 Again – PriceProtectr was included. Thanks to all of the hosts that included my posts for doing such and excellent job! Cash Money Life – Earn $1 Million By Not Buying a Nintendo Wii! My Two Dollars – This Is The Reason We Rent An Apartment And Don’t Own A House. Moolanomy – Are You Giving the Gift of Consumerism? Wise Bread – I Shouldn’t Have to Pay for This! A Consumer’s Guide to your Rights – The article is great, but what I really loved about this article was the picture! The full text on the main page is a nice change. Looks good! MMH – Thank you, that’s great feedback to hear. Quite a list! You have been busy. Thanks for including me. Gibble – I like the full text on the front page – nice move!! Thanks for the list of articles! I’m always looking for some new reads! Great blog you have too! Little Dough Girl – You’re welcome and thank you for your kind comment.